I recently had the distinct privilege of interviewing Bryan J.L. 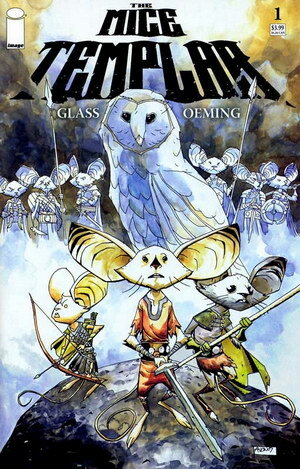 Glass, a wonderful comic book writer who won the Harvey Award in 2009 for best new talent. Bryan has written stories for Marvel and DC Comics, most notably Thor: First Thunder, Valkyrie, and Adventures of Superman with Michael Oeming. 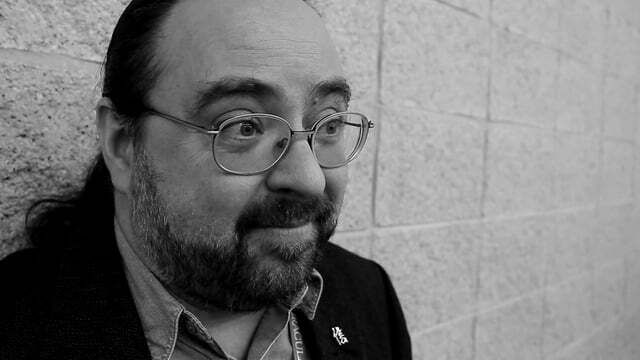 He is most famous for his eight year run as co-creator and writer for The Mice Templar, published by Image Comics, as well as the 2014 miniseries Furious for Dark Horse Comics. 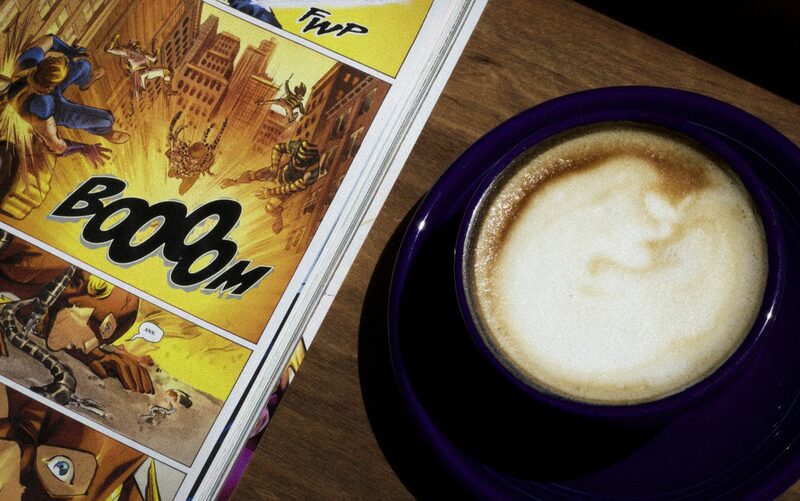 Bryan and I first crossed paths when he discovered “Christ, Coffee and Comics” earlier this year and agreed to do an interview! He and his wife Judy recently converted to Orthodox Christianity (an amazing story that we’ll hopefully get to one day), and it has been wonderful getting to know both of them. I intend to post our interview in four-parts over the course of the next month. FN: When did you decide you wanted to become a writer? B: When I graduated from elementary school I wrote in my little yearbook that I wanted to be a film director when I grew up. All of my heroes were filmmakers. I used to tell my family I had filmmaking in my blood. Even if I could get a job sweeping up the editing room or studio floor, I’d be in film and I’d be happy. I graduated high school, went to college, studied film, and then proceeded to spend my first decade post-education seeking work in the industry—this was in the early era of video—only the majority of the films I worked on ended up as straight to video fiascos, with most never even going to video. I soon saw age 30 looming before me and I said to myself “I’m about to hit 30, and I’m no further in my film career than I hoped I would be.” I’d met colleagues whose entire career was making television commercials, making industrial films. I suddenly realized if I’m fifty years old and I’m still shooting training films for some company somewhere teaching employees how to do something… it just shook me up that this was not the dream! I had the Steven Spielberg/George Lucas dream— I want to tell the stories I want to tell. I had that major awakening that I’m not a filmmaker; I’m a storyteller who had simply chosen film to be the medium I tell stories in. But I took a step back and realized no matter what medium you present me with I will find a way to make that medium into a storytelling device for myself. It was late ‘80s heading into early ‘90s that I started getting serious about transitioning away from film and how I could break into comics as a writer. My earliest published work was in the early to mid-‘90s. I ended up, through a convoluted circuit that got me there, self-publishing a parody series called Spandex Tights. In the end I produced about 25 issues worth of material amidst the same era the industry was imploding: Marvel Comics declared bankruptcy, the “Distributor Wars” happened, and I went from working with thirteen different distributors down to just Diamond Distribution. As the smaller distributors were declaring bankruptcy themselves, they went out of business owing a little publisher like me hundreds and thousands of dollars. By the time 1998 rolled around, I swore I was leaving comics behind. I didn’t know what I would do but I was convinced I’d never return to the comics industry again. That is, until that rascally Mike Oeming pulled me back in the early aughts illustrating my novel Quixote and got me started on The Mice Templar. FN: You may have the most interesting journey to comics out of any writer I’ve ever heard. BG: (laughs) I feel I’ve worked at all levels. One of my first after school jobs was working at a comic shop, I also worked for a comics distributor, I’ve self-published, written and done all the production work, and have now been able to write for most of the major publishers, so I’m very pleased on those fronts. Now I just need more! FN: You are a professional writer now, and you have done a respectable amount of work, and since you and I have gotten to know each other, it’s been wonderful for me to go back and catch up on your work, and find Mice Templar and Furious and the Thor projects you’ve worked on and that Adventures of Superman story and so forth. You’ve won a couple of awards. Do you have a work you’re most proud of? BG: The work that is truly the most personal for me is Furious, first published by Dark Horse Comics. 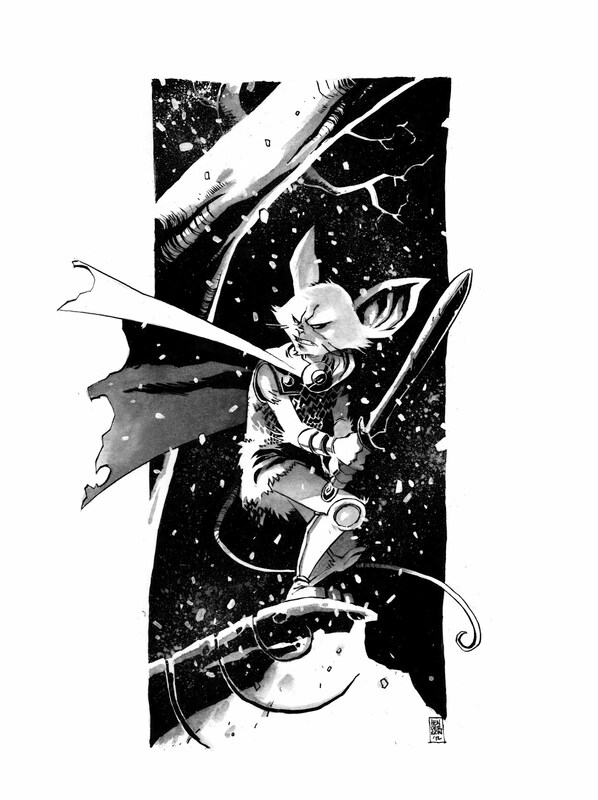 But the work I feel is my biggest, greatest accomplishment is The Mice Templar, at Image Comics. 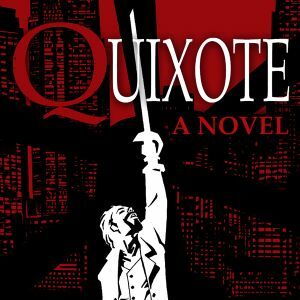 And then what I consider my return to comics wasn’t even a comic but an opportunity to write a novel that would be published by Image, and that’s called Quixote. It came out in 2005, and Mike Oeming did illustrations for it. It’s a supernatural thriller, social observation version of Don Quixote, kind of exploring the story as more of a spiritual horror tale. And I’m really, really proud of the work I did there, and can look back and say that was my first novel. Again, everything is categorized. 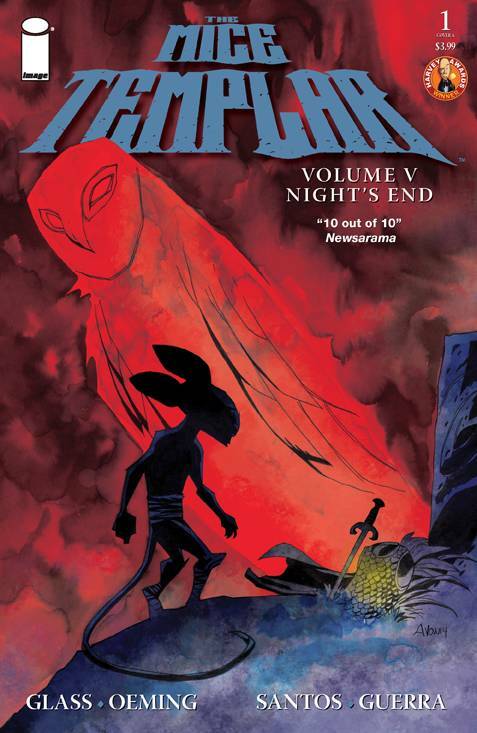 I’m really proud of Quixote, I’m most personally attached to Furious and I’m just in awe, looking back on the last eight years, that I was able to produce Mice Templar through to the end. FN: That must be incredibly gratifying to have a creator-owned book that’s your baby and to know that you started it and you’re finishing it. So on his journey to adulthood he’s always had this story and phrase in the back of his head, he’s always loved Don Bluth’s animation style, The Secret of NIMH was one of his earliest artistic influences, and he just knew one day he was going to get around to doing his own entry into the fantasy, anthropomorphic animal world, and he was going to do the Mice Templar whatever it took. He started developing something in the late ‘90s, that was then simply shelved. He even dropped out of comics himself before starting work on Powers with Brian Michael Bendis in ’99. That series then debuted in 2000, and Mike Oeming got a brand new career handed to him. Riding on the success wave of that, he invited me to accompany him to a Robert McKee “Story” seminar. For those who don’t know, Robert McKee is probably one of the most impactful screenwriting seminar guys that almost everyone in Hollywood seems to swear by. He doesn’t have a gimmick on how to tell stories, but he strips stories down to their skeletons so that you understand their structure. Once you understand the structure, you can identify what works and what doesn’t work. Mike took me back in ’03, and ever since then I’ll find myself watching television and if I really love a show, it’s following McKee principles. If I think a show isn’t engaging me and the storytelling isn’t working, they’re usually defying a McKee principle. But that’s a whole segment for (advertisement voice) “Robert McKee’s Story! Look it up if you’re inspired to do creative writing in any medium or genre! Get his book, get his audio or attend one of his seminars—it will change your storytelling life!” End commercial. So it was this seminar that Mike Oeming very graciously, generously allowed me to go with him to New York. One night we were having dinner after one of the lecture days and he made mention that he was getting serious about digging Mice Templar out of mothballs again. I knew about it and was pretty excited by his returning to it… only Mike said he dug out his old notes and realized it was too “Joseph Campbell” derived, it was beat for beat the Hero’s Journey, to the point where one read the opening sequences and you knew exactly how the story was ultimately going to end because it was that close to the archetypes. He felt that when he reread the work he‘d written in the ‘90s he realized he was chronicling a succession of adventures, and while they were fantasy based, there was no coherent theme… not just to the story, but no coherence to its mythology or universe. It was just “Well, if my heroes need a magic sword, here’s the magic sword. If you need the creepy old witch in the cave, here’s the creepy old witch in the cave.” Whatever stock fantasy archetype was needed to progress the story to the next adventure he had simply pulled it out of the ether because you can do that in a fantasy. But he realized an approach like that would isolate his story from the rest of the really great fantasy tales like Lord of the Rings, having a universe where his world resonated, where the adventure could resonate with the world itself. Mike said at that time he didn’t know how to do it. He then invited me aboard with the instruction to “Build me a world. Make it resonate.” This was followed by, “Use or discard whatever you feel like and adapt accordingly.” That was how my involvement in the development of The Mice Templar began.